I want to talk to you today about a single topic that pretty much revolutionized the success I get with my clients. When I started doing this with my clients, the effects were typically immediate. Not only was I getting better results, I was getting much faster results. 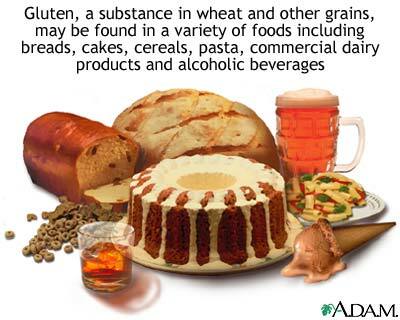 Many people are aware of gluten intolerance in the traditional sense of Celiac Disease which is a severe genetic autoimmune condition where gluten (found in wheat, barley, and rye) cannot be properly digested. This results in severe inflammation within the digestive tract that not only causes Leaky Gut Syndrome but also results in severe diarrhea, digestive pain, and fatigue. But not many people are aware of a much lesser known problem referred to as Sub-Clinical Gluten Intolerance. The term “sub-clinical” means that there are no obvious signs and symptoms. But while there are no obvious signs and symptoms, inflammation is still present but on a lesser scale. But this low grade inflammation can cause damage over years causing Leaky Gut and for your chronic symptoms to occur. In fact, there was a large scale medical study run in the US on chronically ill patients that were unresponsive to medical treatments. The researchers believed that there could be a dietary connection and thus used saliva testing for sub-clinical gluten intolerance on several hundred of these patients of which 85% tested positive.